Running and Deadlifts. Oh, my?! First, the Good News: CrossFit Surmount will be opening its doors Wednesday, April 3! That’s one month and two days later than I had planned, but I’m nonetheless excited and relieved. I can be assertive – without being aggressive – when I need to. I’ve needed to be assertive one more than one occasion during this process. Luke was so exhausted after spending all day yesterday, from 5:30am to 9pm, at CFS that when we finally arrived home he immediately went upstairs and crawled into bed. When we got here this morning, once again at 5:30am, he immediately went to sleep on the couch in the office. I once again completed a main site WOD. I love running and I love deadlifting, so I had to give it a try. I had a gut feeling that I could find a perfect 200m up and back course, and I did just that. What I like most about the course is that it’s hilly and on a dirt and gravel surface. 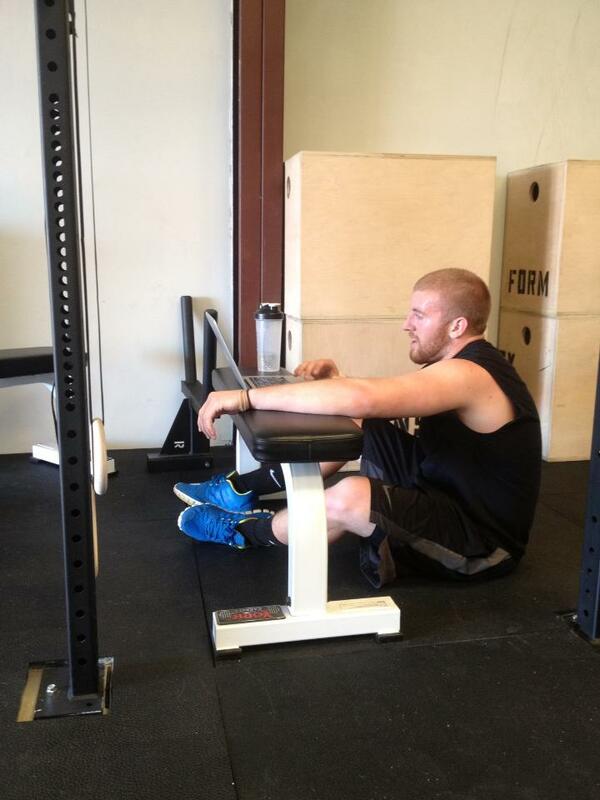 It’s CrossFit, folks; it’s not supposed to be easy. I set up the bar just inside the garage door so as to not track dirt into the box. Uhm, like the workers have done just about every day. Uhm, it’s an everyday occurrence. I ran the first 400m in 1:35. Not bad. I completed the first 21 dls unbroken. Again, not bad. I completed the 2nd and 3rd rounds of dls in reps of 11, 5 & 5, and the 4th round in reps of between 8 and 4 or 5. I so much did not want to complete the last round. I ran 400m and then did dls in reps of 3. However, even though I know that I completed 3 reps at the end of the 5th set of 3 reps, I had only counted to 14. I completed 4 reps the last set, just to make sure that I had indeed completed 21 reps.
My time was 18:50. My immediate thought was 185# and 18:50. My next thought was, “That sucked.” Weird, huh. Oh, I’m sooooo good at math. It’s time for perspective. I ran 1.25 miles, completed 105 deadlifts, and deadlifted 19,425 pounds. ‹ PreviousThat box is made for sitting.